Harley-Davidson of Manila commemorates the 115th anniversary of the iconic American brand as it joins the return of History Channel’s highly anticipated History Con in the Philippines from August 10 to 12, 2018 at the World Trade Center. 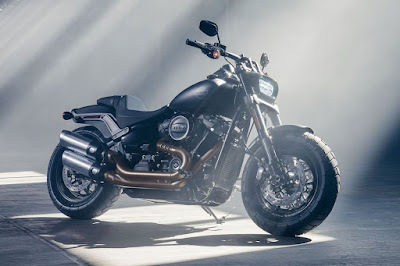 Harley-Davidson of Manila will have a display that features its line-up of popular cruiser bikes, including the Harley-Davidson Softail Fatbob 107 and Softail Sport Glide. Fans and visitors can also try jump starting a Street 500 motorbike to experience the signature rev and sound of a Harley-Davidson bike. Experienced riders can also check out and test drive the Street Rod, Sportster Forty-Eight, and Softail Street Bob. Fans and families alike will be able to test their skills in games and challenges with exclusive prizes up for grabs. History Con is on its third installment in Manila this year. It saw an attendance of 50,000 in 2016 and a record-breaking attendance of 68,800 in 2017. The upcoming convention will be attended by local and international celebrities and will be led by none other than Ancient Aliens host, leading contributor, and co-executive producer, Giorgio A. Tsoukalos.